2. Saute onions, green chillies and garlic. 3. Add half of the curry leaves and cook. 4. When the onions become translucent, add turmeric powder and salt. 5. Add coconut milk and reduce heat to low. 6. After a minute, add the lobsters and cook for 7 to 10 minutes. 7. Allow it to simmer gently over low-medium heat. 8. In a separate pan, fry the remaining curry leaves. 9. 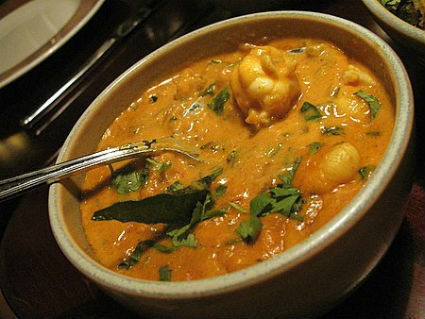 Garnish the lobster curry with the curry leaves and coriander leaves. 10. Transfer to a serving bowl. 11. Serve hot with plain cooked rice. 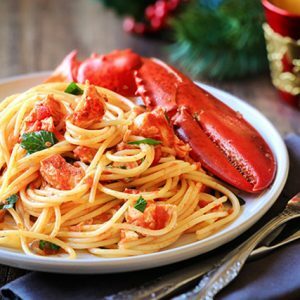 Feel free to comment or share your thoughts on this Coconut Lobster Curry Recipe from Awesome Cuisine.